Darney, C.; Howcroft, G. & Stroud, L. (2010). 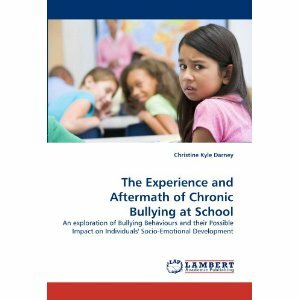 The Experience and Aftermath of Chronic Bullying at School: An exploration of Bullying Behaviours and their Possible Impact on Individuals’ Socio-Emotional Development. LAP Lambert Academic Publishing.